The gentle treatment offered by this IPL device stimulates the formation of new collagen fibres. This has a visible smoothing effect on lines, pores and superficial acne scars. During treatment light passing the filter range is converted into heat. This energy focuses on the deeper layers of the dermis, which contain the tear-proof collagen fibres and elastin fibres. The treatment stimulates the skin cells to start producing skin-tautening collagen and elastin again. 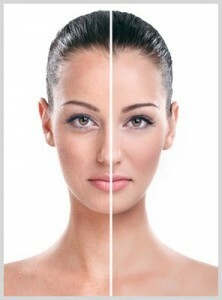 The result is healthy, young and fresh-looking skin. This gentle treatment focusing on the deeper layers of the dermis to plump out the skin. Resulting in a young, fresh and smooth skin, face and neck. What do I do before and after treatment?